COLUMBIA, SC – Few individuals or organizations have a more profound – and less understood – role on the shape of the rule of law in the United States than sheriffs across the country and the departments they lead. On August 22, 2018, the Rule of Law Collaborative at the University of South Carolina (ROLC) received a gift of $95,500 by the Vital Projects Fund, Inc. to support research on the roles and responsibilities of sheriffs across the 50 states. Jessica Pishko, a ROLC Visiting Fellow and journalist whose work focuses on criminal justice, especially the connection between mass incarceration and county-level politics, will lead the project. 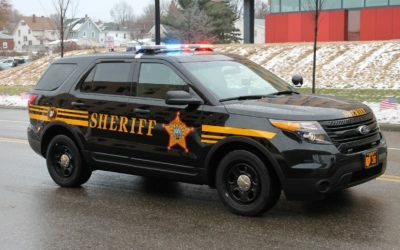 “This research will help to explain what sheriffs do and how their responsibilities and powers impact the lives of many citizens, particularly those living outside of urban centers without city police departments,” explains Pishko. The gift by the Vital Projects Fund will support the Sheriff Accountability Project and will also provide for the overall activities of ROLC both at home and abroad.